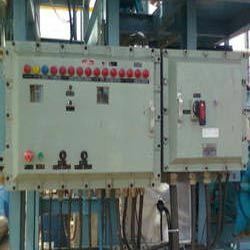 Capitalizing upon our sound infrastructure, we are able to manufacture, supply, wholesale and provide service for an array of high grade Flameproof Control Panel Board. 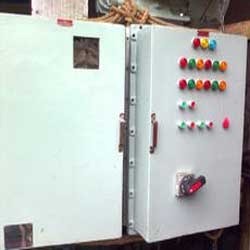 Our flameproof control panel boards are widely demanded by our wide clientele due to its superior functionality, reliability and long lasting operational life. 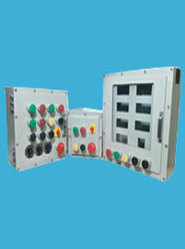 These flameproof control panel boards are designed with user friendly switches and buttons for easy control of different machines and equipments in various manufacturing plants and production and in electrical, mechanical and other industries. 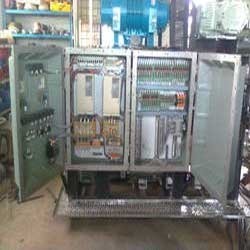 We are among the acknowledge organization that manufacture, supply, wholesale and provide service for finest quality FLP APFC Panel. 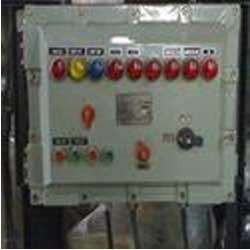 Automatic Control Factor Control (APFC) Panels are used primarily for constant high power factor. Our FLP APFC panels are fabricated using modern technology which allows easy installation, low maintenance and user friendly panel for long lasting use. These panels are fitted with chips and processors which enables efficient performance and high functionality. 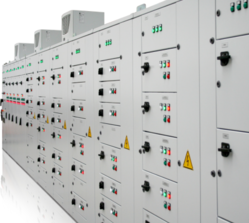 Our FLP APFC panels have portable designs available at very economical range of prices. 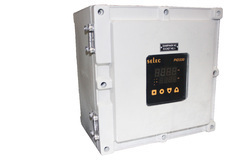 Enriched with vast industrial experience in the industry, we offer technically advanced range of Flameproof MCC Control System that is manufactured using quality assured raw components and scientific methods. Our entire product range is corrosion resistant in nature and ensures smooth finishing standards. 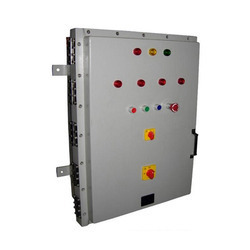 Enriched with vast industrial experience, we offer wide range of Flameproof PLC Control Panel that is treasured for high functionality and smooth performance. 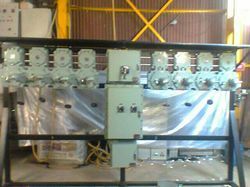 We deliver them as per the preferences of our clients and are dimensionally accurate in nature. 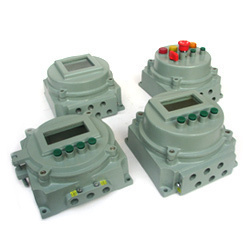 Our entire product range is functionally advanced in nature and is used in varied industrial applications.